Or, to give a real life example: Ishiguro is someone you can often catch fast asleep on the studio sofa. You know, in the same way you can see old men sleeping on those park or train station benches. While there’s something about me that wouldn’t allow me to do that myself, she has no qualms about it. Someone like Iida Kaori will sleep on the sofa, too, but Ishiguro will even snore. Loudly. She can get away with it because it’s cute, but someone who didn’t yet know Ishiguro’s true form — her manly sleeping posture — might be caught quite off-guard upon seeing it. But of course Ishiguro’s unbalance isn’t something that’s only on the surface. To exaggerate a little: I think it’s something that comes from her very way of life. She has a very honest, ladylike personality — the kind that dads love to see in their daughters. And yet, she used to perform in bands and such, and she even had a nose piercing done… though that wasn’t a major life decision for her; she did it merely on a whim. The great thing about her is that she doesn’t have much sense for what’s “ordinary” and what’s “overdoing it.” That’s also why she’s so easily influenced by people around her. Rather than being the person who says “let’s start a band!“, she’s the type of person who will say “sounds fun, let’s do it!” when someone else suggests it. She’s open to trying all kinds of new things, but I don’t think there’s any chance that she’s the type of person who would think of something and then enact it all by herself. In other words, she never puts herself in categories such as “I’m not that type of a person” or “that wouldn’t suit me.” She openly takes on any and all challenges that may come her way. She’s the complete opposite of someone who picks their role and stays in it. She can easily go places that make you wonder why on earth she’d feel the inclination to do so. Perhaps that’s exactly what gives her that unbalanced feel. I believe that the fact that Ishiguro was in an amateur hard rock band before her debut was only because she happened to have a friend she got along with who liked hard rock. Or something along those lines. Someone like her, with no set role, doesn’t need a reason any better than that. And because she’s so unbalanced, that also means her fashion sense is constantly evolving. She’ll tell you how she’s hooked on whatever it is she’s wearing right now, and when you take a look, you’ll notice that it’s completely different from what she was wearing the other day. There’s no logical pattern there. Normally, you’d have the basic fashion style that you’ve chosen for yourself, to which you’d add something that’s a bit trendy or whatever. Even if you wanted to try a completely different style, not many people would go from conservative to literally punk or something. But Ishiguro could easily do just that. She’d think nothing of it. If it was something she had an interest in, no matter how unexpected it was, she’d go for it. To Ishiguro, it’d be no problem. And what exactly does Ishiguro have an interest in? She’s interested in everything that’s currently popular. That’s something that might be similar to your average gyaru. But the thing that sets her apart from the average person who just follows fads is how serious she will be about pursuing those interests. She’s a very passionate person. She’ll try her hand at lots of things, but whatever she does try, she does so earnestly. When Ishiguro is hooked on something, no one can stop her. She’s going to pursue that thing with a fire in her eyes. I think that’s fine. Pursuing just one single thing is a wonderful thing, too, but not limiting yourself to any one territory when you’re young, just trying out everything without prejudice, is surely something that can be a big merit to you growing up. As you do so, you’ll be constantly absorbing new things and expanding your breadth and your realm of possibilities as a person. And while people whose taste in music and fashion and things like that are constantly changing are blamed by some for having “no integrity,” I kind of feel like asking the people who say that why they would allow themselves to be controlled by an idea as silly as that. However, while Ishiguro has always gone where her passion has taken her, I also believe that she has in turn ignored everything in life that she didn’t find interesting or fun — like choosing she hates certain foods without having even tried them. 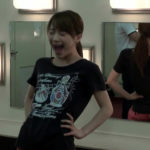 But that part about her is something that must have changed in a major way with her joining Morning Musume. 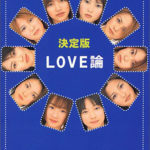 Morning Musume makes its members do many different kinds of things: sweet, hot, sour… everything. Even when it’s something Ishiguro doesn’t feel quite sure of, it’s really a non-issue for her and she’ll give it her all. As a result, she’s discovered things that have made her think “hey, this is fun!” or “it really is important to try things that people recommend to you.” It’s led to a capacity increase within her. As Ishiguro’s producer, seeing that effect on her makes me want to bring out even more different sides of her. Us being slightly senior to Ishiguro in terms of show business experience, she’s also very open to advice when it comes to hearing about the things we’ve experienced and learned. 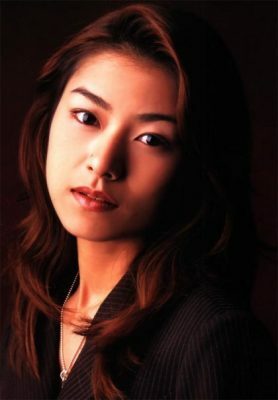 This side of Ishiguro has also taken a big role within the group. “Alright, how about all of you try it once.” When we’re trying out something new and we need everyone to have the courage to give it a shot, she’s always the first one to go for it and give everyone else a good example to go by. Everyone can follow the lead of someone else, but when you’re the first one to be trying something a bit silly, you feel embarrassed. You hesitate. Yet, Ishiguro alone will say “let me go first!” That’s the type of person she is. Even if we ask them to just do weird faces, she’ll do it. The rest of the members see her, and they realize: “hey, that’s kind of cute in a way.” In the end, they all become able to give it their own spin. But if it wasn’t for Ishiguro, I don’t think they’d be able to reach that point. She’s such a great spice. 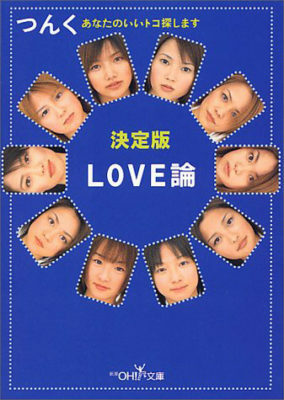 If it wasn’t for Ishiguro, Morning Musume may have been just another cute girl group. In that sense, she really does add a great punch to the group. Similarly, at their recent concerts, she greets people in the audience with an “oiissu!” The audience greets her back: “oiissu.” It’s so funny. The way that started in the first place was when we were in rehearsals for their New Year’s concert or something. “Happy New Year! I’m Ishiguro Aya!” “I’m Yasuda Kei!” They all said the same thing, so we went: “You’re all saying that in the same tone of voice! You’re not all the same person! Give us something original! Give us something!” If three or four members all introduce themselves in exactly the same way, that gets boring even for the viewer. So someone said, “at least throw in an “ossu!” and try to sound like Ikariya-san when you do.” And Ishiguro was the one who said “okay, I’ll do it,” like it was nothing. After a while, she was saying it in concert like it’d been her idea all along. “Oiissu!” Up until then, she’d always just been saying “good evening, I’m Ishiguro Aya.” It was a 180-degree change. And when she did it, it then made it easy for Ichii to go “shuwacchi!” or whatever it is that she now says. That’s just another example of Ishiguro’s greatness. But this trait about Ishiguro didn’t come about only because she isn’t limited to any one territory. A lot of it also comes from that pureness of her personality; her directness. Ishiguro is the type of person who will get hard slaps on the back from men while they praise her as a “genuinely good guy.” Were she to go to a mixer party, instead of trying to sell herself, she would advertise her friends without hesitation. “This girl is a really good girl!” She would do so without any hidden intentions, like the thought that doing so would make herself look cute or something. She’s so honest. That also makes her reactions the best — she always has the best facial expressions in their TV appearances. I bet she’d have great reactions if you were to take her on a date. You’d give her a present or take her to a restaurant or something and she’d surely react with utter excitement — the kind that’d make you think “jeez, you really are great.” On your way back, though, she’d probably be tired, falling fast asleep in the passenger seat. But that’s what makes her Ishiguro. There’s only one problem with territory-free girls like her: guys who date them have lots of hardship awaiting them. “She looks like she’s having so much fun when we’re together… but I bet the second she finds something equally as fun, she’ll immediately want to go there instead.” That’s the feeling of loneliness they make guys experience. You can’t help but worry. Guys feel like they have to constantly be by their side so they don’t run off somewhere. If she says she’s going to a mixer party or a class reunion, you’ll feel almost forced to go pick her up when it’s over. Otherwise, you start to think she might never come back. Another kind of worry guys must battle with when it comes to these unbalanced women is: “if she happens to meet some cool waiter at the disco, she might easily blow two or three hundred thousand yen on him…” To us guys, she strikes us as a very sinful kind of woman. As I was finishing writing this manuscript, I heard about Ishiguro’s decision to withdraw from Morning Musume. It’s exactly like I wrote: “the second she finds something equally as fun, she’ll immediately want to go there instead.” Well, rather than using this time to gloat about how everything I wrote turned out to be correct, I now find myself worried about the musical aspects of Morning Musume and Tanpopo. Still, this is something that Ishiguro decided herself after thinking on it long and hard, so I feel that it’s now my job to support her in her decision. By the way: without her, the height difference within Tanpopo has become 25 centimeters. Tsunku knows. He always knows.